Be the first to share your favorite memory, photo or story of Talulah. This memorial page is dedicated for family, friends and future generations to celebrate the life of their loved one. Talulah Benton Fulton, 91, widow of Robert Evans Fulton, died Wednesday, September 12, 2018, at her residence. Mrs. Fulton was born in Andrews on March 21, 1927, a daughter of the late, James Van Buren Benton and Ida Casselman Benton. She grew up in Andrews and attended Piney Forest School. Mrs. Fulton was a member of Black River Free Will Baptist Church, where she was a former Sunday School Teacher and choir member for most of her life. She was owner and operator of Fulton’s Grocery Store for many years, where she loved to share the community news. Mrs. Fulton was a member of the Rosemary Chapter # 195, Order of the Eastern Star. Her family called her “Queen of Nintendo Games and Checkers Champion”. Mrs. Fulton loved gardening, sewing, crocheting, and was well known for her chocolate cakes. She enjoyed being close to her family and friends. 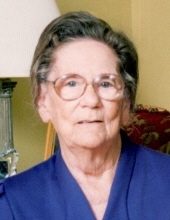 In addition to her husband and parents, Mrs. Fulton was predeceased by: a grandson, Ron Fulton; two sons-in-law, Laurie C. Smith, Sr. and Charles Powers; three sisters; and three brothers. Surviving are: two sons, George E. Fulton (Linda) and James “Ronnie” Fulton (Joyce), both of Andrews; two daughters, Wilma Faye F. Smith of Andrews and Elaine F. Powers Pope (Donald) of Pleasant Hill; twelve grandchildren; twenty-six great-grandchildren; eleven great-great-grandchildren; and numerous nieces and nephews. Funeral services will be Sunday afternoon, September 23, 2018, at two o’clock in Black River Free Will Baptist Church. Officiating will be the Rev. Bruce Jones. Burial will follow in Piney Forest Cemetery under the direction of the Andrews Chapel of Mayer Funeral Home. The family will receive friends Saturday evening, September 22, 2018, at Black River Free Will Baptist Church from five until seven o’clock. The family suggests memorials to: Black River Free Will Baptist Church, 5401 County Line Road, Andrews, S. C. 29510 or Tidelands Community Hospice, 2591 N. Fraser St., Georgetown, S. C. 29440. To send flowers or a remembrance gift to the family of Talulah Benton Fulton, please visit our Tribute Store. "Email Address" would like to share the life celebration of Talulah Benton Fulton. Click on the "link" to go to share a favorite memory or leave a condolence message for the family.